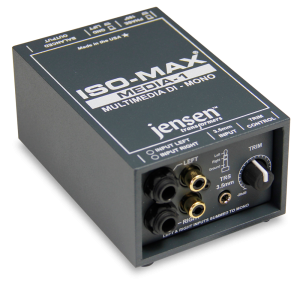 The Iso-Max Media-1 is a multi-purpose direct box designed to interface all types of unbalanced sources to the PA system while enabling signals to be driven distances to 100 meters (300’) or more without high frequency loss or introducing noise into the signal path. The design begins with a rugged extruded aluminum enclosure and steel slide-in inner tray with recessed zones at each end to protect the switches and connectors. 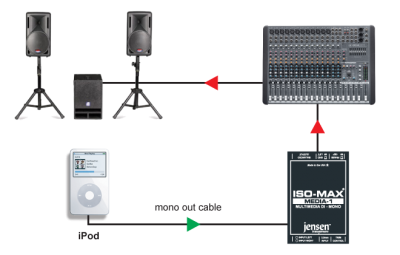 At one end, dual ¼” inputs for instruments, RCA inputs for consumer audio devices and a 3.5mm mini TRS for laptops are wired in parallel to act as thru-puts and summed mono to save valuable mixing console channels. 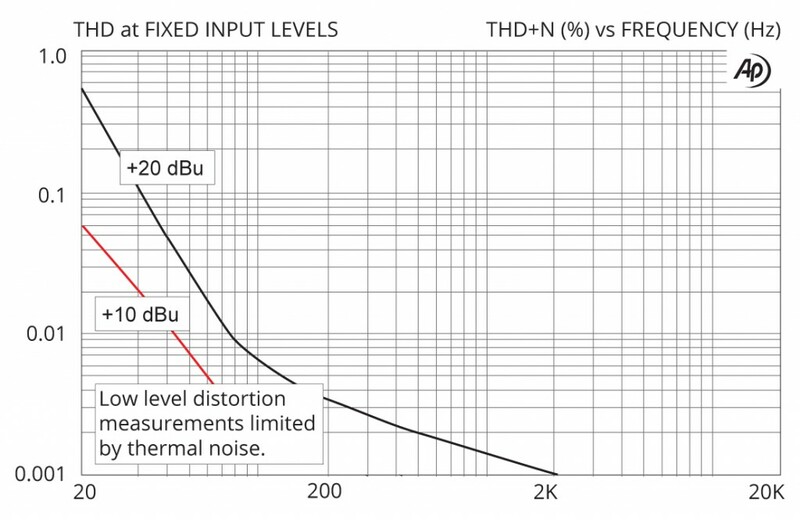 A variable trim decreases input sensitivity for greater signal handling when interfacing line level sources. 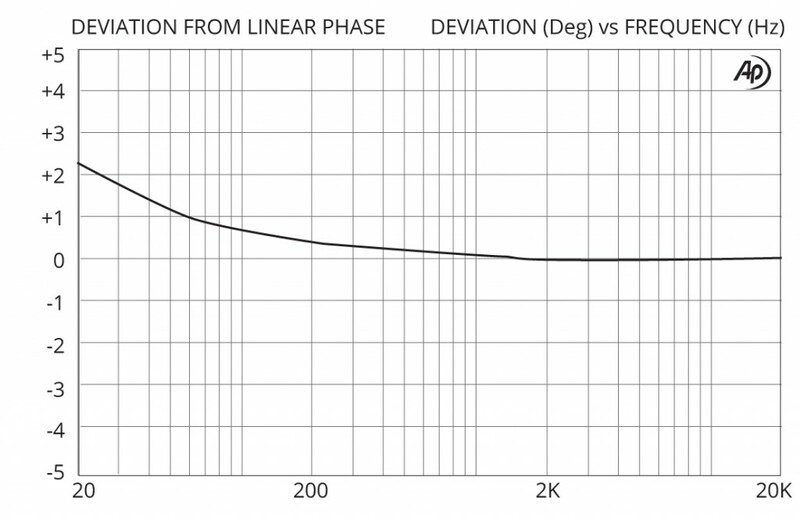 At the other end, an XLR male output with ground lift is supplemented with a 180⁰ polarity reverse for phase matching. As the Iso-Max Media-1 is completely passive, no power is required. Inside, a high-performance Jensen JT-DB-EPC transformer delivers exceptional audio and provides galvanic isolation to eliminate ground loops as it passively lowers the impedance and performs the balancing. 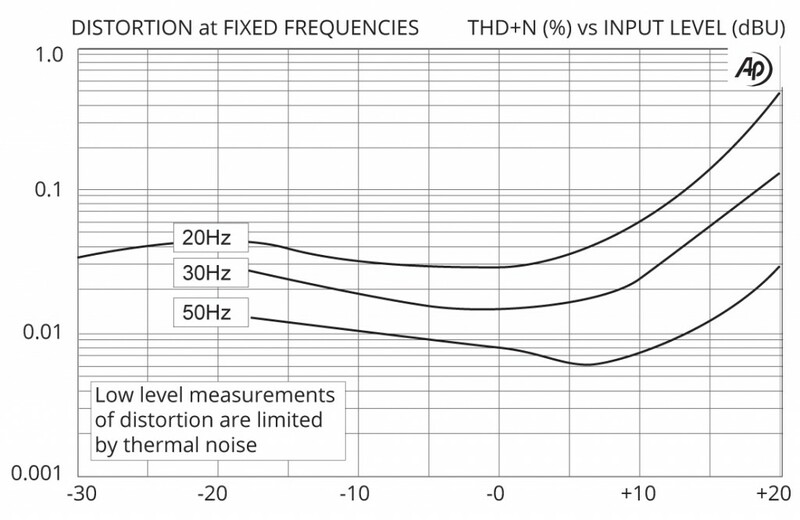 A 22 kΩ input impedance optimizes signal-to-noise for consumer-type products and is supplemented with internal Faraday shielding to protect against interference from RF. An external MuMETAL® can further protects the sensitive internal workings of the transformer to ensure a quiet interference-free performance even when surrounded by magnetic fields from amplifiers, power supplies and stage light dimmers. With over +22 dB of signal handling capacity the Media-1 direct box gracefully handles extreme signals such as those produced by high output digital sources while providing instant access to level adjustments during hectic shows. These features combine to make the Media-1 the ideal choice for multi-media technicians and presenters. The Media-1 is perfect for interfacing consumer audio electronics with pro PA and recording equipment. The dual phone, RCA and 3.5mm inputs on the Media-1 sum the left and right stereo channels to a mono output. 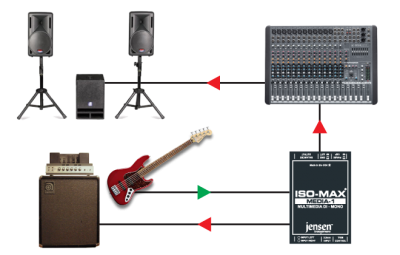 The Media-1 works just like standard direct boxes for active musical instruments like acoustic guitars, basses, and keyboards. 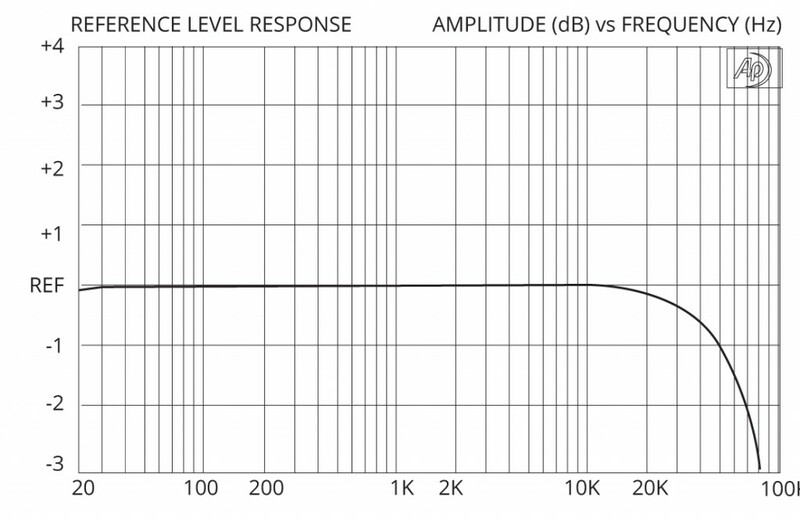 You can thru-put the signal to an on-stage amp while transformer isolation keeps things quiet. The Media-1 is well suited to handle the type of audio generated by CDs and digital audio files. 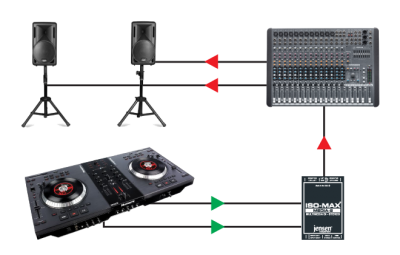 By isolating the source with the PA system you also eliminate noisy ground loops.